Commenced at Jamnagar (Gujarat, India) in the year 1984 as a Partnership firm, we “Sterling Agencies” are a reliable Trader and Supplier of a comprehensive array of Plastic Bins And Accessories, PPR Pipes And Fittings, Plastic Crates And Bins, Plastic Furniture, Plastic Pallets, Flush Doors, Plastic Storage Tanks, etc. The offered assortment is sourced from the most trusted vendors of the industry, who precisely manufacture them under the strict supervision of dedicated and competent experts by using modern technology in conformity with set quality norms. Our offered products are highly valued by our prominent customers for their attributes such as robust design, durability and optimum strength. 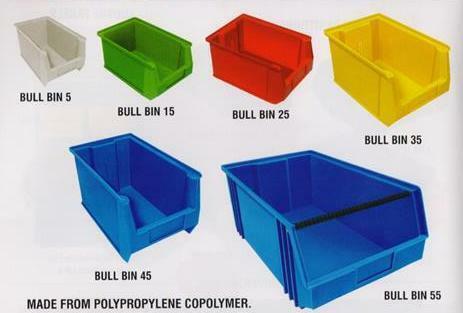 Offered products are widely used in various commercial and industrial sectors. Also, we make available these products in varied specifications as per to the precise needs of our esteemed customers. Offered array is made available at reasonable prices for our renowned patrons. We are offering products of some well-known brands like Alkon Plastics, SFMC, Supreme, Renotuf, Sintex, Reno, etc.